According to the data, collected by the Clearing House (CH) Team for the last two years, the participation of Belarusian CSOs in the European Programmes is steadily increasing, however this increase is unequally distributed between organisations from Minsk and the regions of the country. Though regional CSOs do participate in the Commission's calls for proposals those cases are rather an exception than a rule. The experts name several reasons for that among them: low organisational capacity including insufficient skills in project development and management, lack of contacts with similar organisations from the EU and EaP region for potential partnerships, skepticism towards EU programmes caused by the lack of information about success stories. To improve this situation contributing to increase of competitiveness of regional CSOs, the Office for a Democratic Belarus (Brussels) in partnership with the Office for European Expertise and Communication (Minsk) decided to conduct a series of practice-based presentations of European programmes and calls for proposals. The aim of these events is to explain in detail how to prepare a project application and implement European projects, to evaluate their results and report on them in accordance with internationally excepted standards, as well as to propose free counseling services to Belarusian CSOs. On 5 November, a meeting “The Way to Write and Implement a Successful International Project” was organised in Homiel. 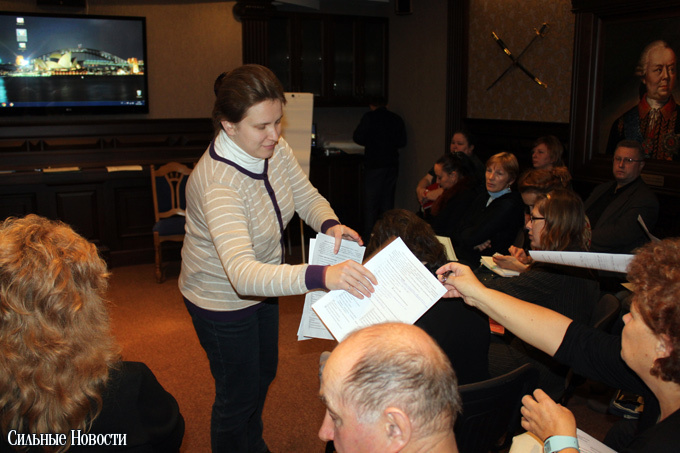 The seminar was one of the six foreseen under the Action in all regional centres of Belarus. In spring this year, the ODB/ OEEC already presented the European programmes and opportunities to the local organisations as part of the European Intercultural Festival-2013. 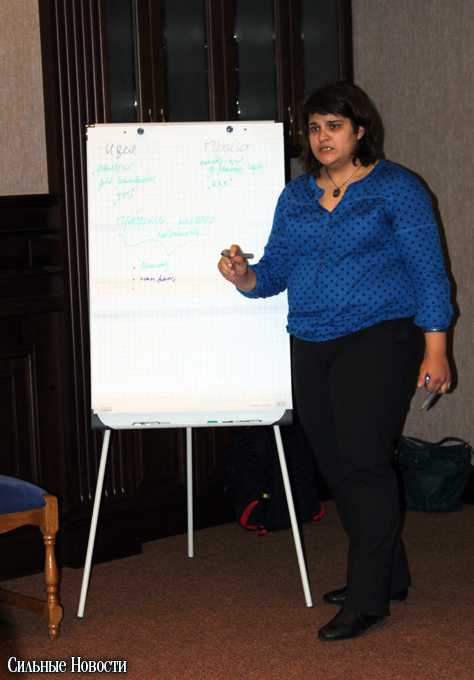 That May session was rather informative than practical while this time, the Clearing House consultants, Volha Khabibulina and Antanina Elistratava, showed the participants how to use the logical framework approach in preparing applications and implementing projects. What are the component of the logical-framework matrix, what a project application should look like, how to fill in an application form, how to get registered in PADOR, and, not least importantly, how to integrate such essential aspects as gender balance, environmental impact, and human rights in organisations' practice already at the stage of project planning - all these issues were covered at the seminar. To bring the content of the regional events closer to everyday life of Belarusian CSOs, the CH team started to invite organisations who already succeeded in obtaining and implementing the international projects. This time, the invited guest of the Homiel meeting became Nina Kekuh, the Director of Social Projects, who agreed to share her organisation's experience. The meeting was attended by 29 representatives of local CSOs. Among them were the so-called "beginners" and experienced participants. Piotr Kuzniatsou, the Director of “The Center for Regional Development HDF”, gladly admitted that though the organisations were very different in terms of their projects background, partnership history, and capacity, they still managed to find a common ground. “Some organisations have already taken part in the EC calls for proposals, while others never heard of it; some rely mainly on cooperation with international funds, while others prefer state funding but attempt to diversify their sources. What unites them all is their aspiration to obtain knowledge, and new skills, as well as learn how to integrate all those in their activities”. 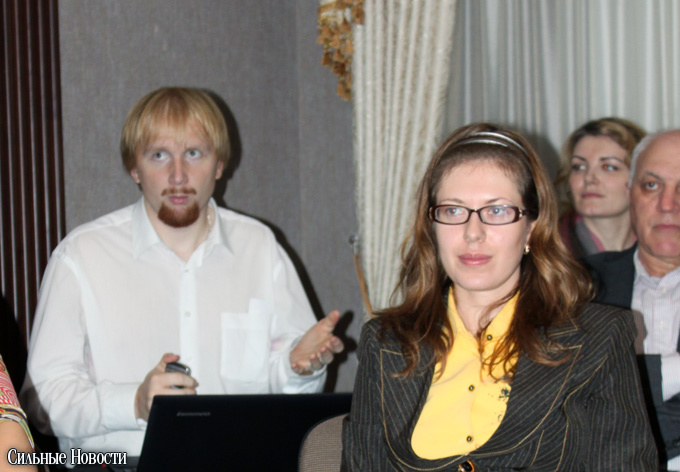 Volha Habibulina, the CH consultant and one of trainers at the seminar noted that the organisers managed to create a very open and inspiring atmosphere during the meeting. "The new-comers were not shy to ask any even the simplest questions while their more skillful colleagues gladly shared knowledge and experienced," she said. The Office for a Democratic Belarus and the Office for European Expertise and Communication extend their gratitude to the Homiel "Center of Regional Development HDF” who became local partner of the event. • Where do we find project ideas? • How do we turn an idea into a project? • What are the national and the call's for proposals priorities? How do we take them into account when preparing project applications? 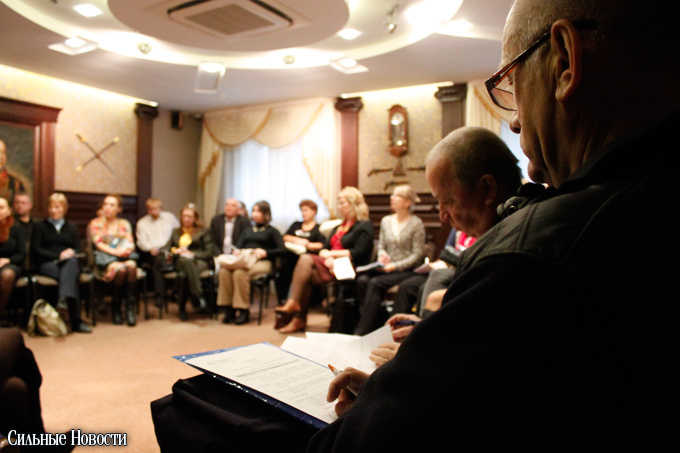 • Counseling services for Belarusian CSOs. To register for participation, please use this link.